Across the board Volkswagen is changing the infotainment system on their 2016 lineup along with several of the driver assistance features that are needed to ensure you can have the right features to give you the best drive and information possible. Some of the features are certainly only improvements on what was already aboard before, but others are quite a huge change from what we saw in previous model years. In order to see what is being upgraded, Volkswagen has listed these ten as the ones that will be improved in order to give us an even more dynamic drive and more instant information than ever before. Blind Spot Monitor with Rear Traffic Alert – It’s important to have these radar sensors on the rear of the vehicle for sensing hazards around the car. The blind spot monitoring allows you to get alerts for your blind spots. This is an upgraded safety feature that ensures you gain the information you want when it comes to your driving experience. 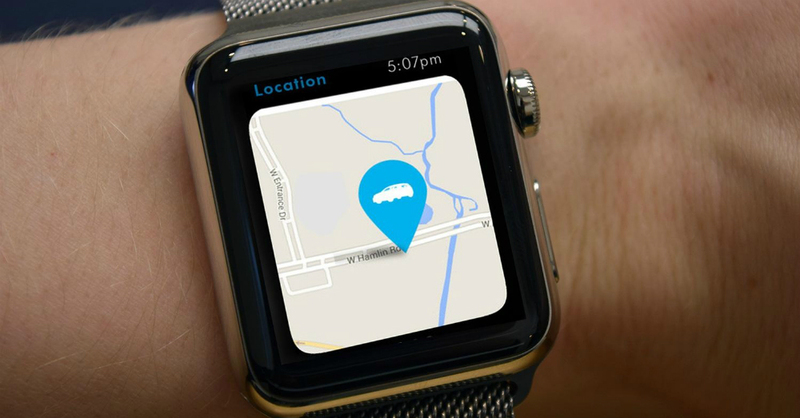 VW Car-Net App for Apple Watch – With your Apple Watch you can control some features of your vehicle that are connected to the watch. Depending upon what app is set up for the watch you can control the remote starting system, the interior temperature of the vehicle and even know when and where you should get gas. Lane Departure Warning – When you are at speeds above 40 mph and you inadvertently steer toward the lane line you will receive a vibration warning that will let you know you need to steer back to the center of your lane to keep the car safe and under control. Adaptive Cruise Control – Cruise control has been around to allow you to set a speed you want to drive at for many years. With adaptive cruise control your vehicle can detect vehicles in front of you and keep you at a specific distance from the vehicle in front of you on order to control your speed without the need for you to brake. Park Distance Control – Parallel parking has always been a challenge for most drivers to accomplish, but with this system sensors are fitted to the bumpers to allow you to know the distance to other items around you. This system includes visual and audible warnings. Automatic Post-Collision Braking System – The hope is to never have to use this system, but a system that holds the brakes down for you after a collision allows you to feel confident you won’t be in a second collision after the first one has occurred. Volkswagen App-Connect – A variety of infotainment modules will be used on the new models for 2016 to give us cars that are more connected than ever. These systems all include the pairing of your smartphone so you can enjoy the features you love on your phone from the driver’s seat of the car. Forward Collision Warning and Autonomous Emergency Braking – This system is designed to keep you from rear ending a vehicle in front of you by automatically braking your vehicle when a collision is about to happen. This will be useful for those times when you look down for a couple seconds and the vehicle in front of you has started braking. Parking Steering Assistance – This is one of the best features to come out for the use during parallel parking. The vehicle will do the steering for you once engaged and all you have to do is control the speed and gear shifts of the car making it much easier to park. USB Ports – All the new 2016 models will feature USB connectivity this allows plenty of great features to be enjoyed that allow you to connect your phone to the vehicle and take full advantage of this system, that has already been part of so many other vehicles for so long. With these ten features upgraded or added to the lineup from Volkswagen you can see how much better the driving experience can be in these vehicles. More safety, better connectivity, and an overall better ride will ensure you can experience the benefits of great driving and awesome fun from any spot in a new 2016 Volkswagen model.